Written by Kyle Higgins, Tim Seeley, Mairghread Scott, Collin Kelly, Jackson Lanzing, Paul Dini, Mark Russell, Steve Orlando, Alisa Kwitney, Phil Hester and James Rbinson. Art by Kelley Jones, Guisepe Camuncoli, Bryan Hitch, Javier Fernandez, Guillem March, Frazer Irving, Nic Klein, Stephanie Hans, Mirko Colak and John McCrea. Cover by Kelley Jones. 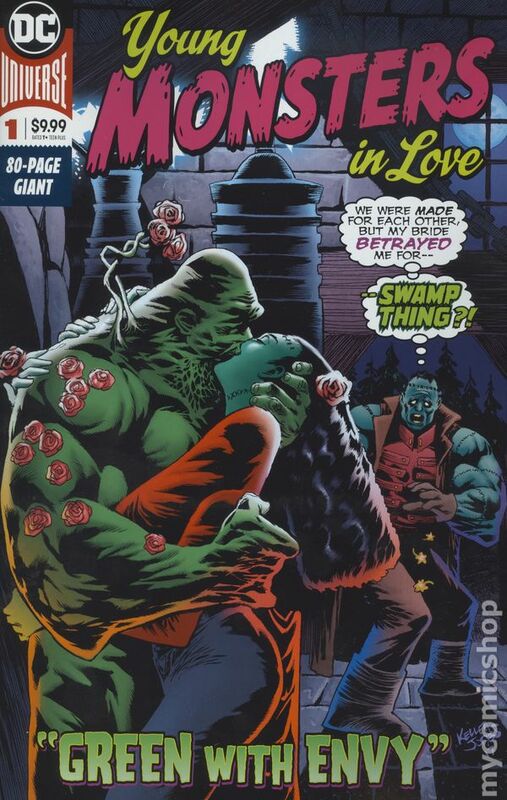 It's hard being a monster… and even harder being a monster in love. Sparks will fly and hearts will be broken when the ghouls and ghosts of the DC Universe assemble to bring you the Valentine's Day Special that no one saw coming! 80 pages, full color. Rated T+ Cover price $9.99.